Some people like to take a video with their smart phone to record their life, and some others love to download movies on their computer to watch them offline. When you are going to change a new iPhone Xs, iPhone Xs Max and iPhone XR, you might want to sync the videos from previous phone to the new iPhone Xs/Xs Max/XR, or want to share the movies from computer to the new iOS device. So how to make it? Don't worry, this article is going to introduce you 2 different ways to transfer videos to iPhone Xs/Xs Max/XR, including how to sync videos from an old phone to iPhone Xs/Xs Max/XR, and how to transfer videos from computer to iPhone Xs/Xs Max/XR. Just keep reading to find more details. To effectively transfer videos from an old phone phone to iPhone Xs/Xs Max/XR, or sync movies from a previous phone to iPhone Xs/Xs Max/XR, it is advised to ask for help from a professional 3rd-party tool - Mobile Phone Video Transfer. With this powerful tool, you can easily transfer videos from old phone to iPhone Xs, iPhone Xs Max and iPhone XR within a few clicks. In fact, this tool supports to export or import different files between two smart phones, including videos, music, photos, contacts, notes, calendars and etc. And this tool works well with all models of iOS devices, containing the iPhone Xs, iPhone Xs Max, iPhone XR, iPhone X, iPhone 8, iPad Pro, iPod touch and so on. Below are the free trail of the software, please download the right version of it on your computer, and then follow the steps to transfer videos from an old phone to iPhone XS/X Plus/9. After downloading and installing the software on your computer, please connect the old phone and the iPhone to the computer via two USB cables. 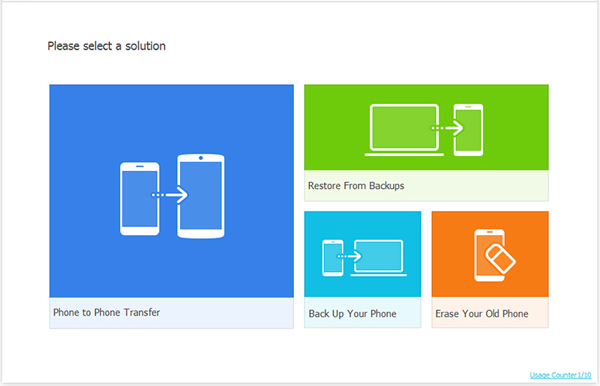 Run the tool and choose the "Phone to Phone Transfer" mode to go on. And please be noted that iTunes needs to be installed to perform the transfer tool successfully. With both devices connected to the computer, you will get an interface with two phones on both sides and the file types in the middle, including the contacts, text messages, videos, photos and etc. Just select the "Videos" tab to move to the next step. After selecting the desired file types on the middle, you can begin to click the "Start Transfer" option to start to copy videos from an old phone to iPhone XS/X Plus or iPhone 9. Soon all the selected videos will be transferred successfully. 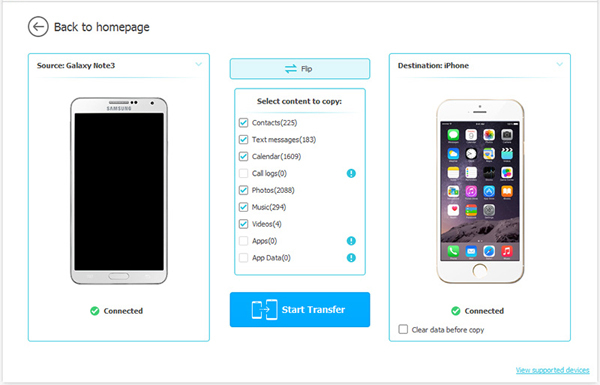 If you want to transfer videos from PC to iPhone, you can also take a free trail of the Mobile Phone Video Transfer. With it, you can freely and quickly export videos from computer to iPhone Xs/Xs Max/XR as you want. 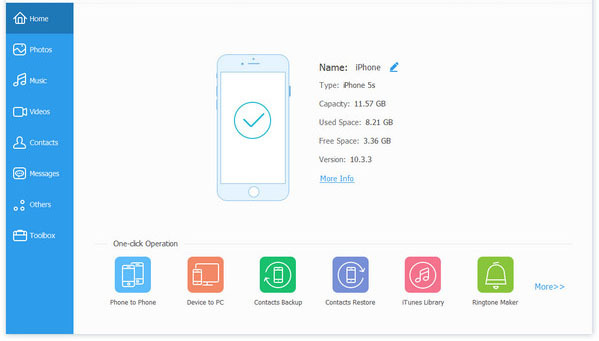 And this software supports to transfer different files from computer to iPhone 9, or iPhone XS, including the videos, music, photos, contacts, notes and etc. Below are the download link and you can download it for free, then you can follow the instruction provided in the following part to transfer videos from computer to iPhone. Then you can start to transfer videos. Just click on "Videos" tab on left where you can check the detailed video files on your iPhone. After that, you might click "Add" button to import videos from your PC to iPhone immediately.